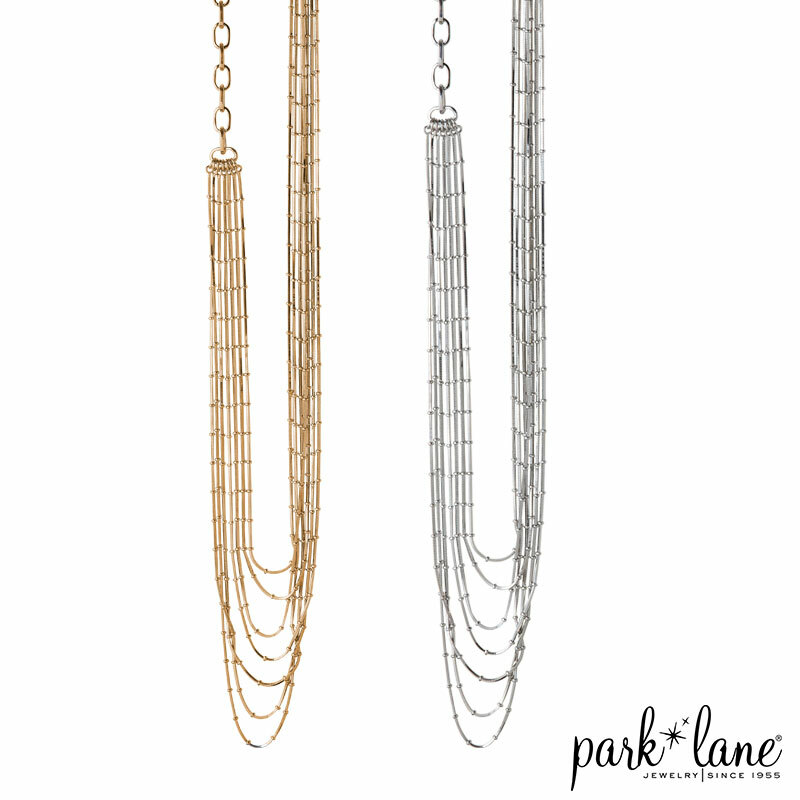 A section of bold link chain adds interest to the multi-strand asymmetric necklace. Wear solo or layered. 32”+3”. Specify silver or gold finish.